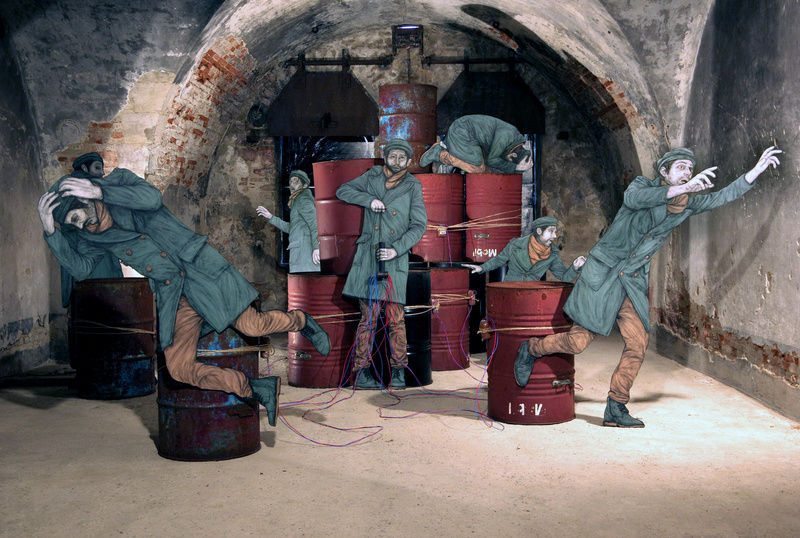 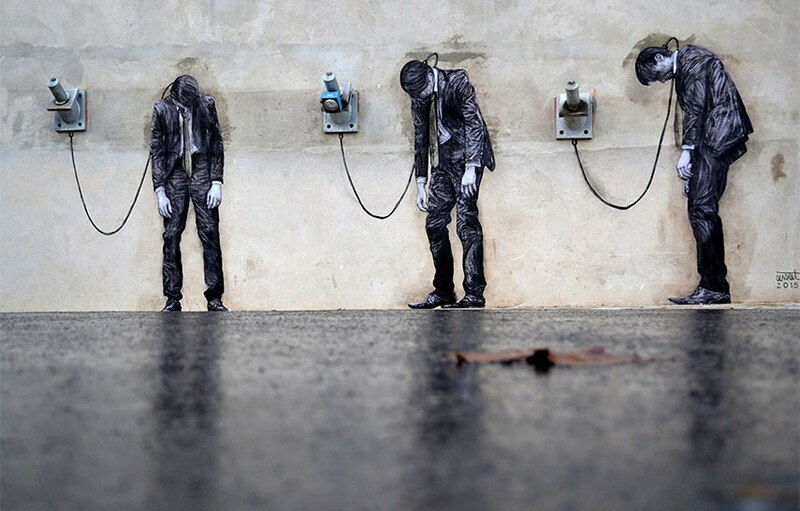 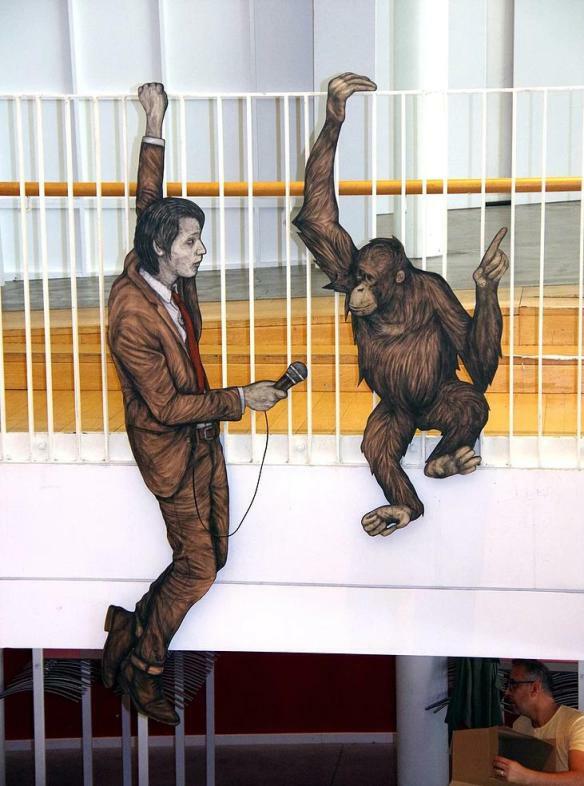 Life-sized street art interventions play out scenes from a parallel universe on public surfaces all around us in the interactive works of French artist Levalet. 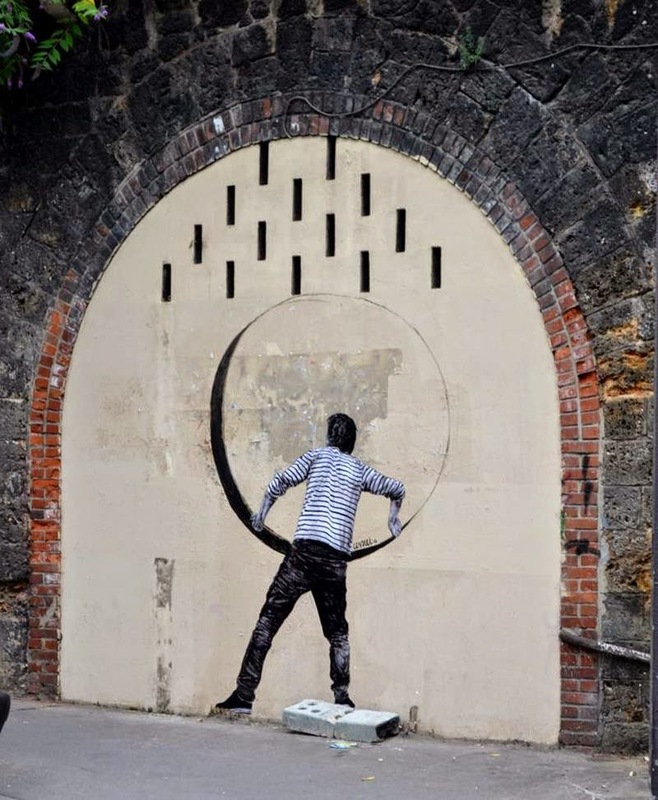 Raised in Guadeloupe, France, the artist (also known as art teacher Charles Leval) saw the graffiti that surrounded him as part of the city’s identity, prompting him to look at the streets in a whole new way. 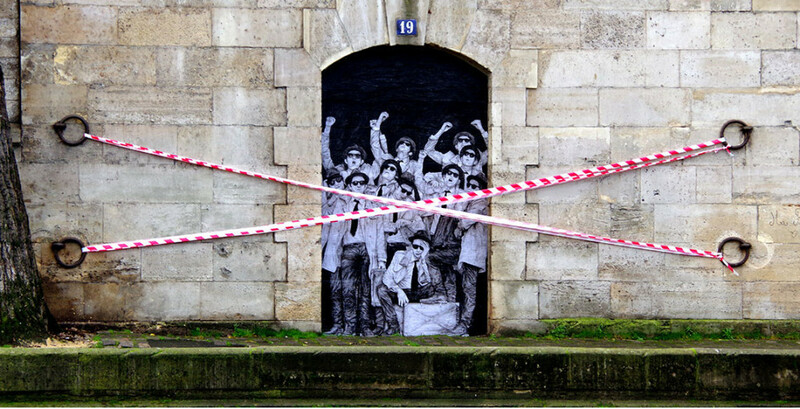 What if everyday objects and scenes had an entirely different purpose than the ones we see for them? 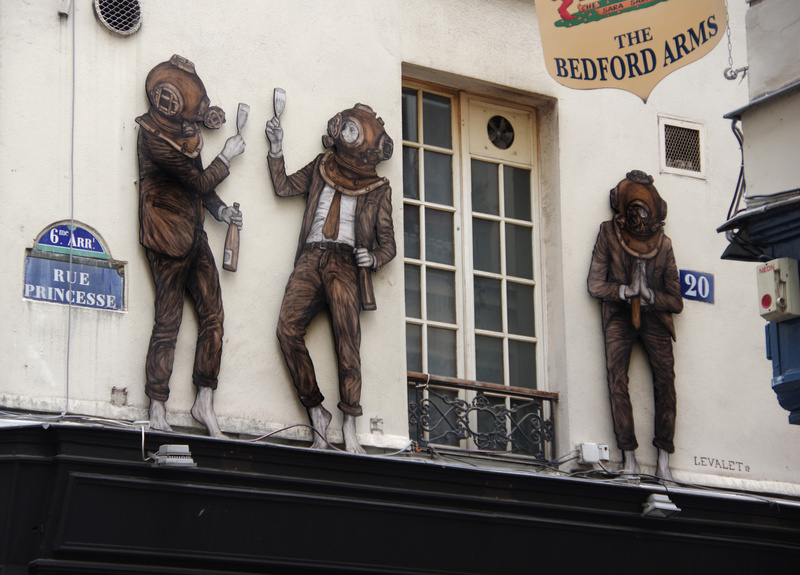 Details of the city that might otherwise be unnoticed by its inhabitants – like dangling cables, clumps of ivy and water spouts – become the genesis of strange, creative and absurd scenes, like glimpses of a world just barely out of reach. 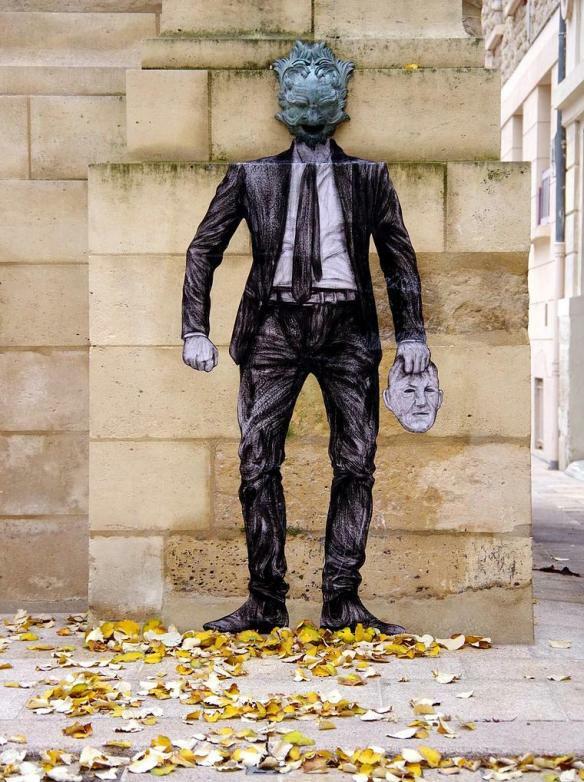 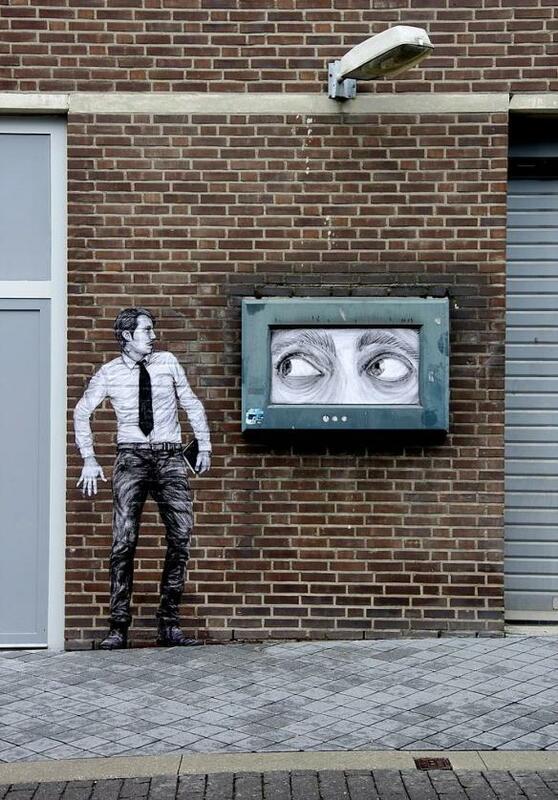 While much of Levalet’s work is wheat pasted right onto urban surfaces, he sometimes creates cut-outs that can be layered on top of the fabric of the city, giving it a whole new dimension.